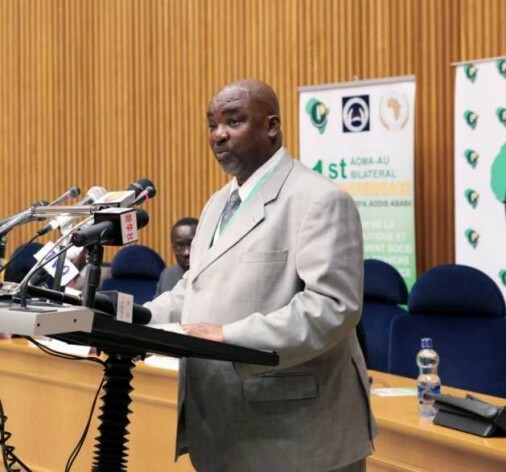 Olabisi Dare, Head of Humanitarian Affairs, Refugees, and Displaced Persons Division at the AU Commission. ISTANBUL, Turkey , May 22 2016 (IPS) - The African Union (AU) representing 54 countries and home to 1,2 billion inhabitants, will be in Istanbul to participate in the May 23-24, 2016, first-ever World Humanitarian Summit (WHS) with two key demands—that the international humanitarian system be redefined, and a strong, firm own commitment to itself, to the continent and its people, anchoring on the primacy of the states. It is therefore in this context that the African Union is going to Istanbul with its own commitments to itself, that is its own commitment to the continent and its people and one of the key things of this commitment is to anchor on the primacy of the states itself, “the State has the primary responsibility to its own people to satisfy their needs and to take care of their vulnerabilities,” said Olabisi. 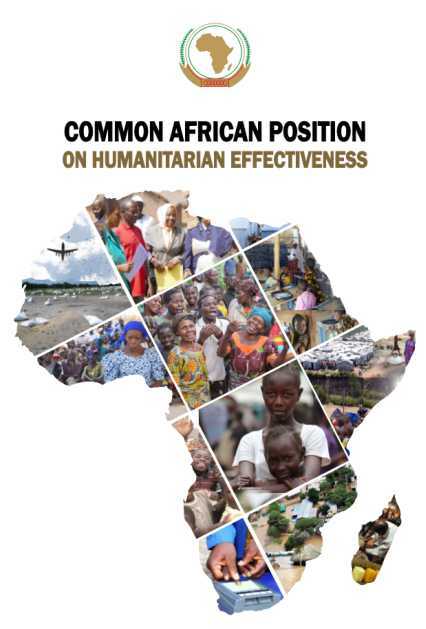 The African Union feels the State has to play the primary role of coordinating any and all humanitarian action that may take place within its territory; the States have in their efforts to alleviate the needs of its people; the States have also to maintain humanitarian space and have a responsibility to guarantee the safety of both the humanitarian workers and humanitarian infrastructure. We note that the State has the capability and capacity in key areas like use of military assets in assisting humanitarian action–a key example is the use of military forces in Liberia and other acted countries the military was deployed to serve as the first line of defense to combat the spread of the disease. The Resolution 46182 that Olabisi refers to, was adopted in 1991, setting as “Guiding Principles” that humanitarian assistance is of cardinal importance for the victims of natural disasters and other emergencies and must be provided in accordance with the principles of humanity, neutrality and impartiality. “Each State has the responsibility first and foremost to take care of the victims of natural disasters and other emergencies occurring on its territory. Hence, the affected State has the primary role in the initiation, organization, coordination, and implementation of humanitarian assistance within its territory,” states also the Guiding Principle 4. For its part, Guiding Principle 10 stresses, “Economic growth and sustainable development are essential for prevention of and preparedness against natural disasters and other emergencies. Many emergencies reflect the underlying crisis in development facing developing countries. “Contributions for humanitarian assistance should be provided in a way which is not to the detriment of resources made available for international cooperation for development,” says Guiding Principle 11. Asked what are the outcomes that Africa would most expect from the WHS, Olabisi said that Africa expects the guarantee that international humanitarian system will be reconfigured to conform with new demands and address the issues faced by the humanitarian system at the moment – one of the main outcome the Summit will deliver. “One of the key things to note is that Africa will go ahead with its own commitments, “our resolve to come up with something that is workable, pragmatic, and something that will make us see ourselves in a light that puts us in a position to help ourselves despite the grand bargain on Africa being shut out of the whole system,” Olabisi emphasised. SOUTH AFRICA VIOLATED THE CONSTITUTIONAL COURT JUDGEMENT -ABORIGINAL TITLE WHICH THE CONSTITUTION WAS TO BE AMENDED , ICECSR, UNDRIP 2007, CONSTITUTION BY NOT GIVING OUR SELF DETERMINATION RIGHT, ILO169, ICC, AND ALL THE OTHER LAWS PERTAINING TO OUR INDIGENOUS RIGHTS. WE THE SO CALLED COLOURED AND BUSHMAN AND SAN ARE THE TRUE INDIGENOUS PEOPLE OF SOUTH AFRICA. SOUTH AFRICA IS A LAWLESS COUNTRY/GOVERNMENT WHICH IS GENOCIDE AND ALSO VIOLATES OUR HUMAN RIGHTS. Instead of invoking this or that declaration, African leaders should stop and think how they are governing their respecting countries, stop looting their own countries, and killing, imprisoning, and displacing their own citizens. To start with, they may withdraw some of the millions or billions that they have stashed somewhere and bring it back home and use it for addressing the problems that they have created.